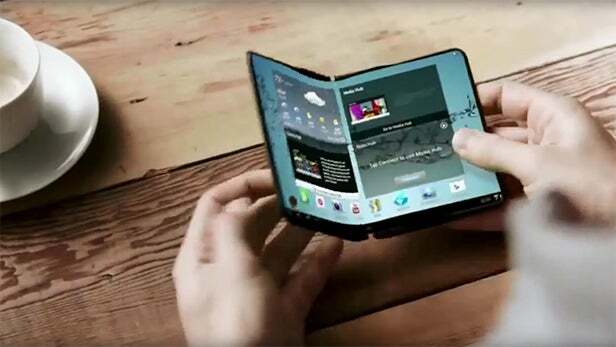 We’ve been hearing rumors for some time that Samsung will launch a folding smartphone at some point named Galaxy X. The device has already been through some certification for its Wi-Fi and Bluetooth components. Now, according to LetsGoDigital, it seems like the whole thing is being inspected by the Korean National Radio Research Agency ahead of a launch. The phone is expected to be launched early next year. The idea of a foldable phone is nothing new. The phone was spotted at CES in 2009 and showed off what Samsung then described as “The World’s First Foldable AMOLED”. Due to minimal advancement in technology, Samsung didn’t release it. The phone was really bulky and had just 360p resolution. For Samsung to actually market a device it would need to be “normal” phone sized and survive the rigours of day-to-day life. But AMOLEDs have come on enormously since 2009 and Samsung has been playing around with bending displays since the Galaxy Note Edge and later the Galaxy S6 Edge. These phones and the ones that followed will have taught the firm a lot about unusual designs. Even if the device arrives, Samsung will be pricing it very high just like Note 6 Edge. Samsung won’t want to sell it in huge numbers, but it will likely be a mission to learn a bit more about how popular these devices are and how people use them. The smartphone market is getting dull everyday, almost all phones have the same features and Samsung coming up this smartphone is really a breakthrough. It will be really interesting to see what Samsung does eventually produce and how it works.We feel this phone is going to be a 2 in 1 tablet/smartphone. Though it sounds dope, but noting is impossible. Lets see when Samsung will launch this device. Maybe not CES because this show doesn’t focus much on mobiles. MWC sounds more convincing.